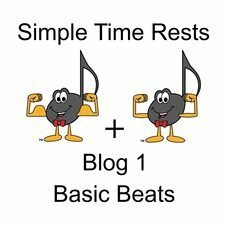 Welcome to the first Blog in my Series "Simple Time Rests". Adding rests can by tricky. I often receive emails asking why certain rests are considered to be incorrect. Almost all the time, the error has been caused by a lack of understanding of the Basic Beat and Pulse. In this Series, we will use the Step Stone Method to learn how to add rests in Simple Time. To do this, we are going to start at the very beginning - understanding the Basic Beat. Rests have Rules. (Repeat after me - Rests Have Rules!) These Rules are based on the Pulse. Notes have more freedom and flexibility. But Rests don't. Rests have Rules! *Yes, you will sometimes see instances where dotted rests are used in Simple Time. It is becoming "sort of acceptable" but only in certain rest-value placement situations. I'm working hard on trying to find concrete rules to pass on to you. Until then, remember that it is always acceptable to never use dotted rests in Simple Time! Yet another concept unique to Ultimate Music Theory is our use of Symbols so that students of all learning styles can See, Hear and Feel the Music. The "Scoop" is the curved line that is scooping each Basic Beat sound into one Basic Beat and pulse. The "Plus Sign" (+) joins (or adds) the Pulses to show students when Basic Beats and pulses are joined into one rest. Simple Time is any Time Signature where the Top Number is 2, 3 or 4. The Basic Beat is the note value of the Bottom Number of the Time Signature. The Pulse is the "heart beat" of the music. A Pulse can be either Strong, Medium or Weak. In Simple Duple Time, the Top Number of the Time Signature is 2. The Bottom Number of the Time Signature is the value of the Basic Beat note. In 2/8 Time, your Basic Beat is 2 Eighth Notes. In 2/4 Time, your Basic Beat is 2 Quarter Notes. In 2/2 Time, your Basic Beat is 2 Half Notes. When combining the Strong + weak Basic Beat pulse in any Simple Duple Time, the rest will always be a Whole Rest. Why? Rest Rule #5 - A Whole Measure of Silence in Simple Time is a Whole Rest (except in 4/2 Time). In Simple Triple Time, the Top Number of the Time Signature is 3. The Bottom Number of the Time Signature is the value of the Basic Beat note. In 3/8 Time, your Basic Beat is 3 Eighth Notes. In 3/4 Time, your Basic Beat is 3 Quarter Notes. In 3/2 Time, your Basic Beat is 3 Half Notes. In Simple Triple Time, the Strong Basic Beat can join with the first weak Basic Beat into one rest. Why? Rest Rule #1 - A Strong Pulse will join a Weak Pulse into one rest. In Simple Triple Time, the first weak Basic Beat cannot join with the second weak Basic Beat into one rest. Why? Rest Rule #4 - A Weak Pulse will not join a Weak Pulse. You must use 2 separate rests. When combining the Strong + weak + weak Basic Beat pulse in any Simple Triple Time, the rest will always be a Whole Rest. Why? Rest Rule #5 - A Whole Measure of Silence in Simple Time is a Whole Rest (except in 4/2 Time). This Rule does not invalidate Rule #4 - A Weak Pulse will not join a Weak Pulse. Why? We are not joining a weak Pulse with a weak Pulse. We are joining the WHOLE measure of silence into one rest. Thus, we use a Whole Rest. When I explain it to my students, I stress the word "whole". I explain that when the WHOLE measure joins together into one rest, the Strong joins the first weak pulse PLUS the second weak pulse into one WHOLE measure of silence - and we use the WHOLE rest. In Simple Quadruple Time, the Top Number of the Time Signature is 4. The Bottom Number of the Time Signature is the value of the Basic Beat note. In 4/8 Time, your Basic Beat is 4 Eighth Notes. In 4/4 Time, your Basic Beat is 4 Quarter Notes. In 4/2 Time, your Basic Beat is 4 Half Notes. In Simple Quadruple Time, the Strong Basic Beat can join with the first weak Basic Beat into one rest. Why? Rest Rule #1 - A Strong Pulse will join a Weak Pulse into one rest. In Simple Quadruple Time, the first weak Basic Beat cannot join with the Medium Basic Beat into one rest. Why? Rest Rule #3 - A Weak Pulse will not join a Medium Pulse. You must use 2 separate rests. In Simple Quadruple Time, the Medium Basic Beat can join with the second weak Basic Beat into one rest. Why? Rest Rule #2 - A Medium Pulse will join a Weak Pulse into one rest. When combining the Strong + weak + Medium + weak Basic Beat pulse in any Simple Quadruple Time, the rest will always be a Whole Rest. Why? Rest Rule #5 - A Whole Measure of Silence in Simple Time is a Whole Rest (except in 4/2 Time). *In 4/2 Time, the Breve (or Double Whole Rest) is used to show a Whole Measure of Silence. Buy the Ultimate Music Theory Basic Rudiments Workbook and Answer Book. Work through every single page and every single question (no skipping!). Mark your answers using your Answer Book. Remember that Glory St. Germain and I weren't perfect - there are Errata pages for this Series. On our Website, under "Free Resources" on our Website, click the "Free Teacher Resources Link". At the bottom of this list is the "Music Theory Errata Pages" link. 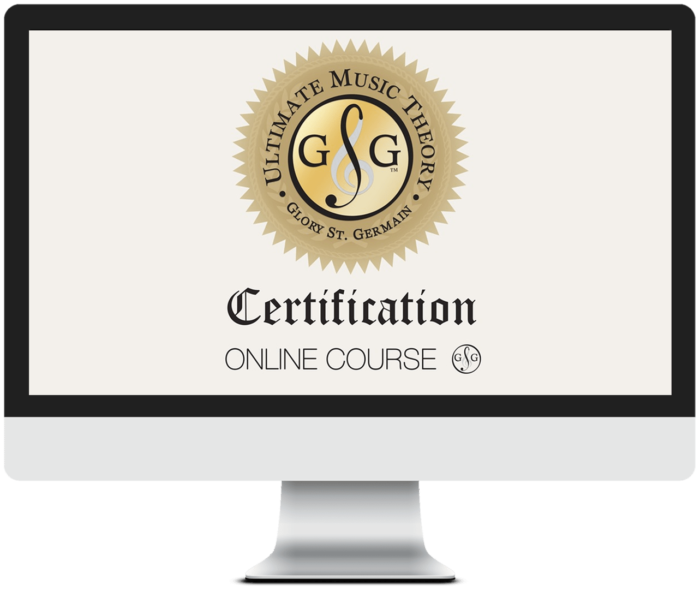 Open that link to access the Errata (BooBoo) Pages for the Ultimate Music Theory Series. You will find a few Basic Rudiments Errata notes here. And STAY TUNED for the next Blog in my Series on Simple Time Rests! I enjoyed the idea of a weak, medium and strong pulse. It answers the question “Why more than just one tied rest?” The next time I see two rests in a row, I’ll think about that. Thanks. Thank you for this clear explanation on writing rests! In the past, I’ve had it explained in terms of beats but doing it with pulse makes so much more sense to me.